Quite impressed that you’re describing that as quick and easy – looking at the end result it doesn’t look like it would be either! Did you make a frame to build them around? Any chance of a step by step? I’m already envisioning skaven corrupted versions of those ships the Empire like to carry around on poles. Ok, next question – how did you get them to all bend into roughly the same shape? Surely some would end up bent more than others? Gathering the detritus of our fast-food society and creating great art with it is a cultural imperative. Future generations will thank us! How did you bend the stirrers? 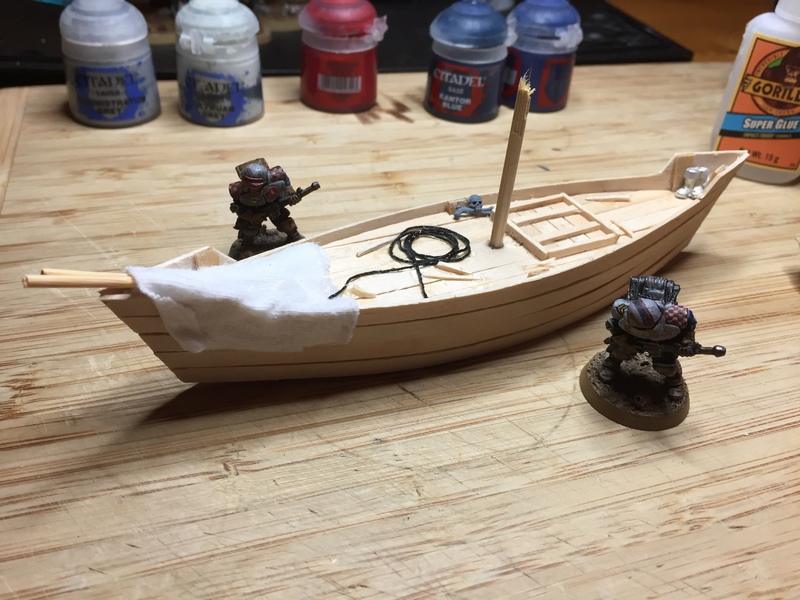 Because I need some boats in my life. Not quite following you. A picture perhaps? So you are using the weight of the coffee jar? Damn nice job, I’m requesting a tutorial too!!! Haha you Sir are a genius. The little boat looks fantastic and the fact that you built it from coffee stirrers is very impressive. IS your real name Noah? Over here in Sydney Harbour we have a little coffee boat that gets about on the water offering great coffee to fellow boatys. Your project made me think of it. Haha I hope there is. Don’t chinpanzees drink Tea in the UK?